Paper Pawz: Kraft and colored pencils! Happy Monday! Kim with you this morning and I am sharing an anniversary card today made with one of my favorite mixes - colored pencils on Kraft card stock! These are all products you can find in BR shop! 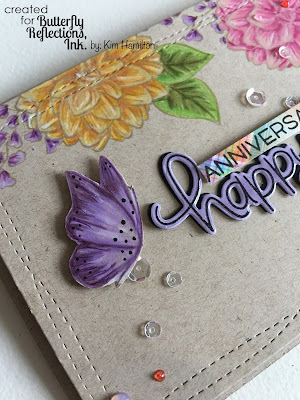 I started with a piece of Kraft card stock and stamped my flowers and leaves from Winnie & Walter's In Bloom - Addie's Garden (I am obsessed with this set lately) set with Kraft colored ink and I colored them with my Prismacolor pencils. I guess with Easter around the corner, my color palette became what it is! 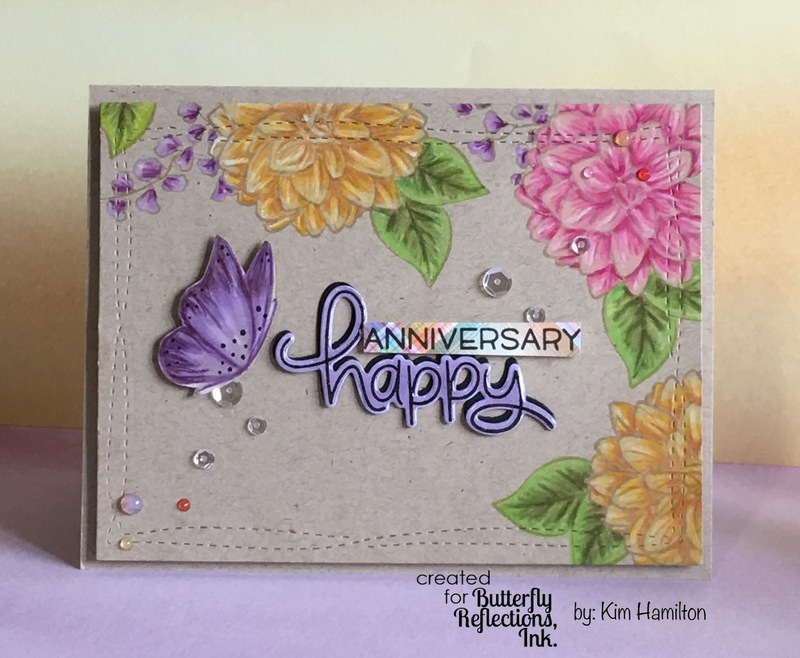 When it came time to add a sentiment (this is an anniversary card for my parents :)) I, again, turned to my current obsession, the Lawn Fawn Happy, Happy, Happy Lawn Cuts and stamps. I stamped the anniversary sentiment on a piece of Perfectly Plaid Rainbow paper and die cut the Happy out of lavender card stock and stamped the "happy" on top in Versafine Onyx Black. 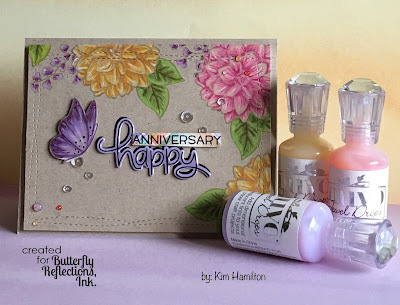 I then felt that the left side looked slightly empty so I pulled out my Avery Elle Butterflies set and stamped one of them on Kraft paper and colored it in shades of purple and lavender. I fussy cut it to pop it up on the base panel (again, I didn't buy the dies and it's a set I use often...) and I added some dot detail. To finish everything off I added some Pretty Pink Posh Sparkling Sequins and some Nuvo Jewel Drops in Lavender, Pink and Yellow. Thanks so much for taking the time! If you are interested in any of these products they all have direct links to the shop and if anything is backordered just select the notify me option. Vanessa stocks very quickly! Have a great week and I will see you Easter Monday!